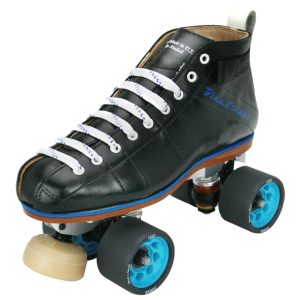 ﻿ Riedell Blue Streak Pro - Reactor Neo - $599.00 : Bruised Boutique, For Derby. By Derby. WHEELS Your choice! Prices may vary. These boots run larger than most Riedell boots by 1/2-1 full size (e.g., size 5 Riedell 265 = size 4 Blue Streak), your fit preference may vary. SHIPPING: Stock boots should be able to ship immediately. Non-stock boots may take up to 4-6 weeks.